Reaching into your truck's cargo area can often be an arduous task. Truck beds can take some effort to climb over and into in order to grab the things you need, and it isn't always the safest thing to do, either. We've all had situations where we've overreached and tripped or fell. Those concerns can all be taken care of with a new Carr black truck box step! The Carr black truck box step is made in the USA and constructed from high-quality die-cast aluminum to give you a sturdy stepping area. It provides the step up you need to get to your things without requiring you to awkwardly lean over the side of the bed, offering a double shot of added safety and convenience. The step comes in a slick black finish, is corrosion resistant, and made to withstand the harshest conditions and inclement weather. They're rugged enough to look tough but sharply designed to add a nice extra touch to your pickup's aesthetics. 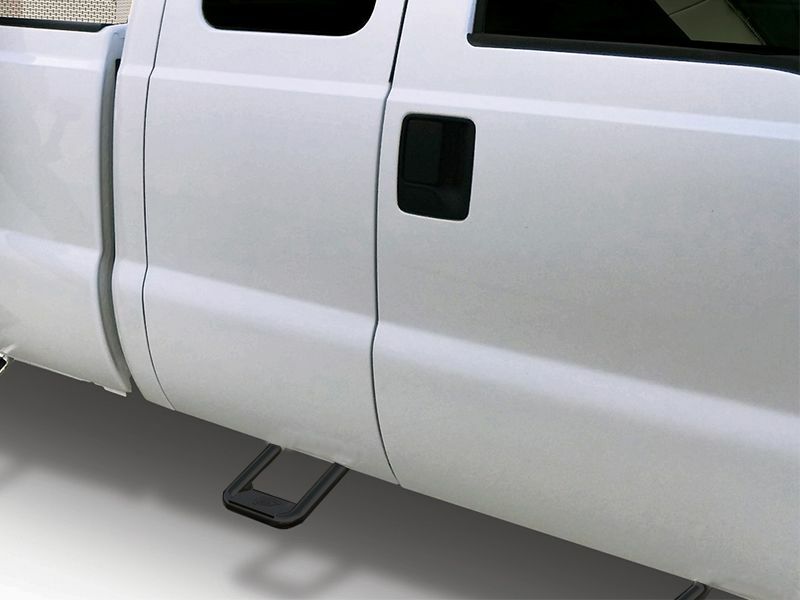 The Carr black truck box step can be mounted on either side of your truck's frame and is easy to install. When it's not in use, the step swings neatly underneath the truck bed and locks securely into place. By Combining all-American construction and top quality appearances, the Carr black truck box step is the ideal solution to take the trouble out of accessing your truck's bed. Please note they are sold individually so if you need one for each side of your bed, please order two. Carr is offering a lifetime limited warranty on their black truck box step. The Carr black truck box step offers an easy installation and comes with installation instructions.